These are all Limited Editions. 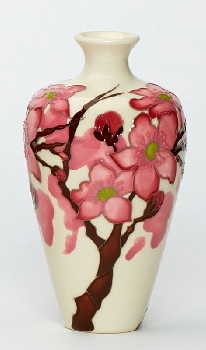 Founded Dennis Chinaworks in 1993 . 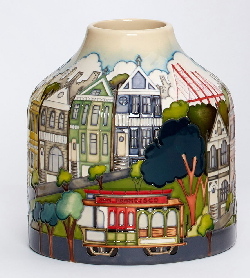 Visit the link to see her works. 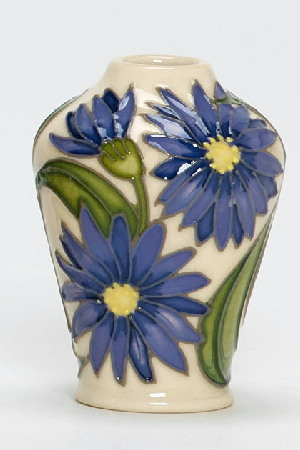 Since 1990 Moorcroft pottery have used a system of date marks. 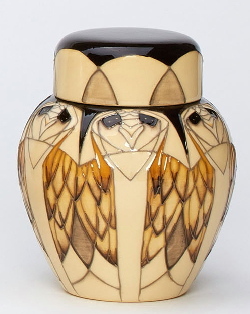 All the marks used are listed here. 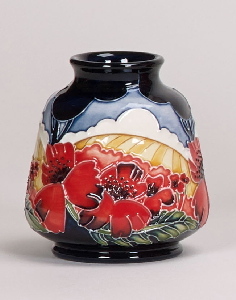 All current Moorcroft Pottery items can be ordered if not in stock, this includes lamps and numbered edition items. 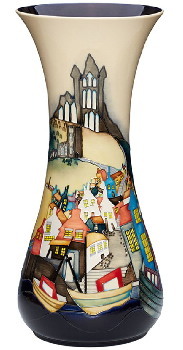 Limited Edition items not in stock may be available please telephone to confirm availability. 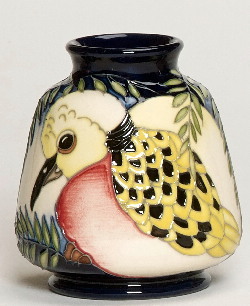 Delivery of non stock items can take several weeks. 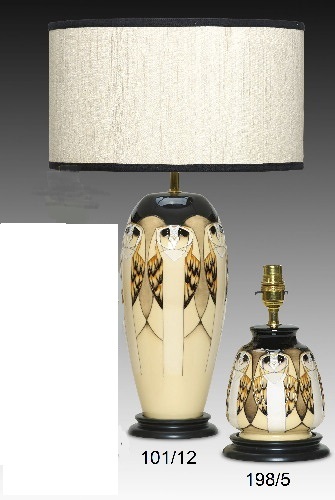 We can always check estimated delivery times if required. 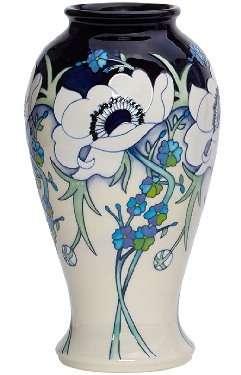 Moorcroft Pottery, including Limited Editions, Numbered Editions, Lamps available both with and without shades, Plaques and many discontinued items. 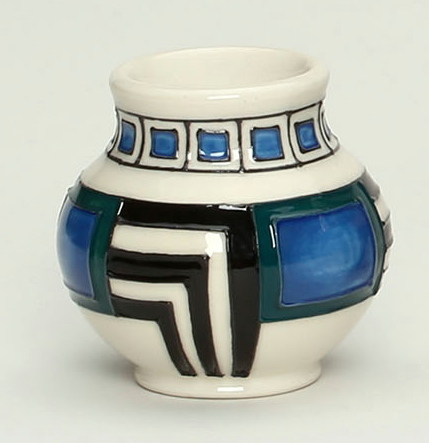 Originally founded as a studio in 1897 within a large ceramic company. 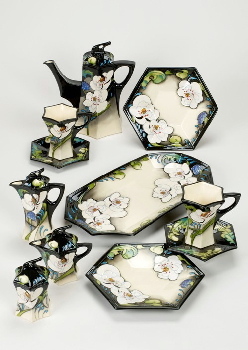 James Macintyre & Co. Moorcroft soon made its mark on the world. 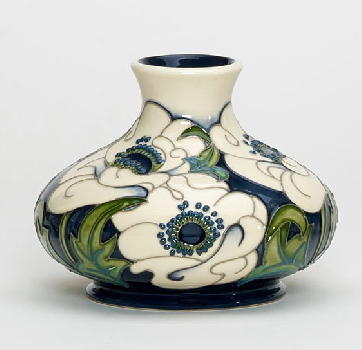 Designs came from 24 year old William Moorcroft who personalised each piece of pottery produced with his own signature or initials. 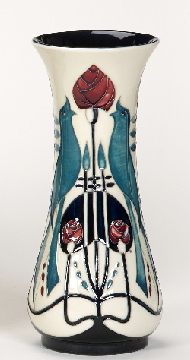 This did little for James Mcintyre's name and reputation, and in 1912 the inevitable split occurred. 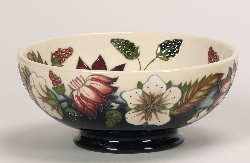 William marched his workforce across Cobridge Park to a new factory in Sandbach Road where Moorcroft Pottery is still made today. 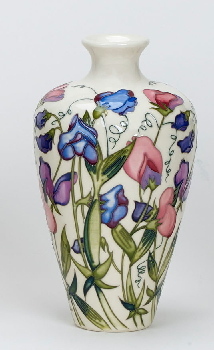 Money came from Liberty, the famous London store and Liberty continued to control Moorcroft Pottery until 1962. 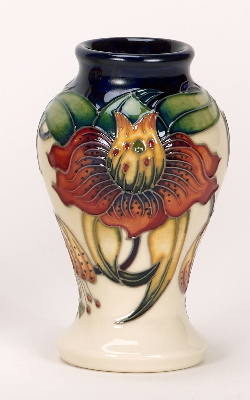 In 1904, Moorcroft won a gold medal at the St Louis International Exhibition and followed up the achievement with further medals and commendations, culminating in the appointment of the Moorcroft company as Potter to HM The Queen in 1928. 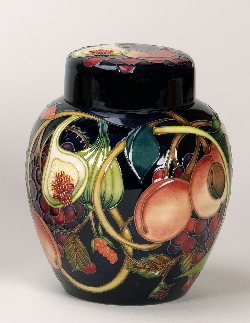 On the death of William Moorcroft in 1945, his elder son, Walter, took over management and design. 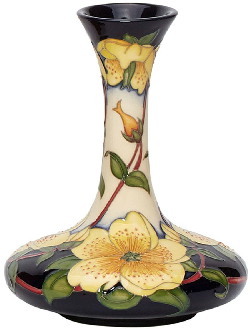 In 1962, the Moorcroft family bought out Liberty, but Moorcroft Pottery seldom prospered. Finally, in 1984, the family sold the bulk of their shares on the open market. 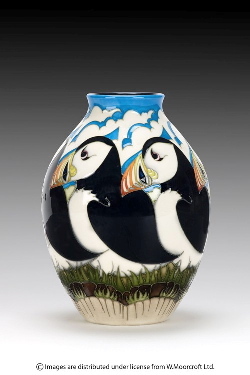 After several material shareholder changes in the mid-1980's and early 1990's, Moorcroft Pottery is now controlled by the Edwards family, and has been since 1993. 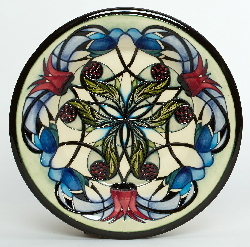 Over the past nine years the world profile of Moorcroft Pottery has grown internationally, both in quality and in perceived value. 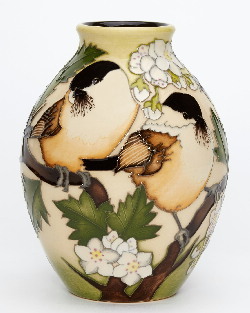 Auctioneers Christies hold a dedicated Moorcroft Pottery sale each year. 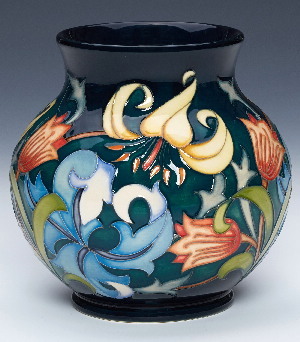 In 2001, Sotheby's New York hold a major sale comprising many pieces of Moorcroft Pottery. 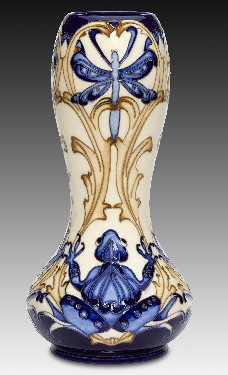 The Victoria & Albert museum has joined many other national museums with significant pieces of Moorcroft Pottery in their permanent collections. 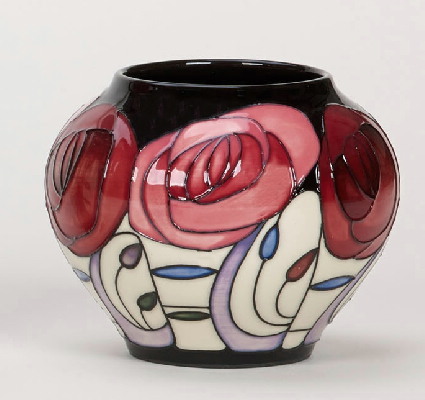 In 1993, Rachel Bishop joined Moorcroft Pottery as only its fourth designer in almost a hundred years. 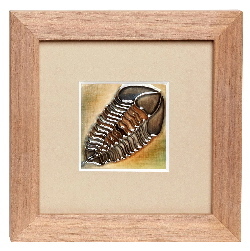 Just 24 years old, she was soon to see sales of her work flourish. 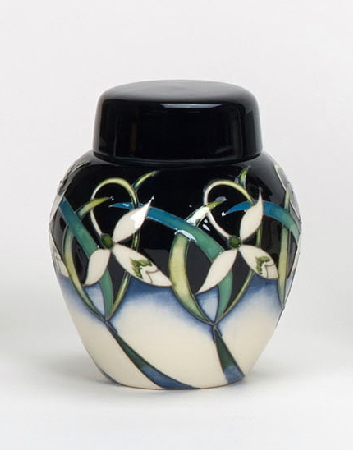 With that success came the Moorcroft Pottery centenary in 1997, and in the same year the Moorcroft Pottery Design Studio was formed, originally comprising no less than eight designers with Rachel at their head. 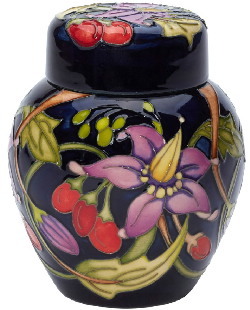 A brief and colourful interlude saw the arrival of Moorcroft Enamels in August 1998, a company which Moorcroft Pottery closed down in March 2006 as a result of clashes in design style. 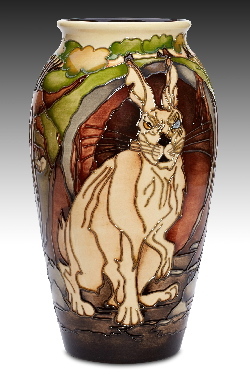 Today, Moorcroft Pottery leads the world of art pottery with its own distinctive design style. 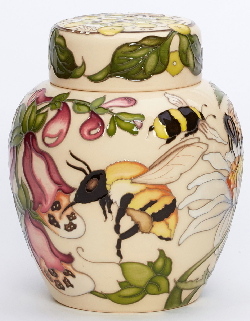 With added value coming from the skills and craftsmanship of a dedicated workforce, Moorcroft Pottery is selling more of its magnificent ware all over the world today, than it did even in its previous heyday in the mid-1920's.